As if our amazing Spanish tapas meal at The Bazaar by Jose Andres at the SLS Hotel in Beverly Hills wasn’t enough, it’s now time to continue with dessert. 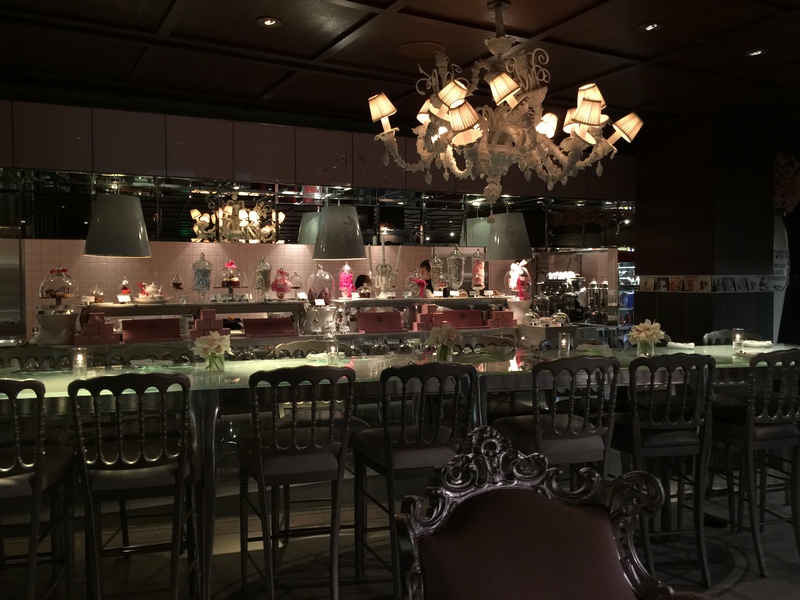 At the Bazaar, the restaurant is set in three completely separate, yet integrated, sections: the bar, the main dining room, and the Patisserie for dessert. When you arrive at the restaurant, while you’re waiting to be seated, you can get started at the bar where they serve some innovative and fresh cocktails. For dinner, there’s plenty small tables and comfortable seats set around a partial open kitchen in a very understated, muted and intimate atmosphere all designed to encourage guests to sit back, relax and enjoy the amazing Spanish tapas meal they are about to be served. And at the end of the evening, when you’ve finished your meal, you’re moved along to a new table in the Patisserie where you can begin your dessert experience. 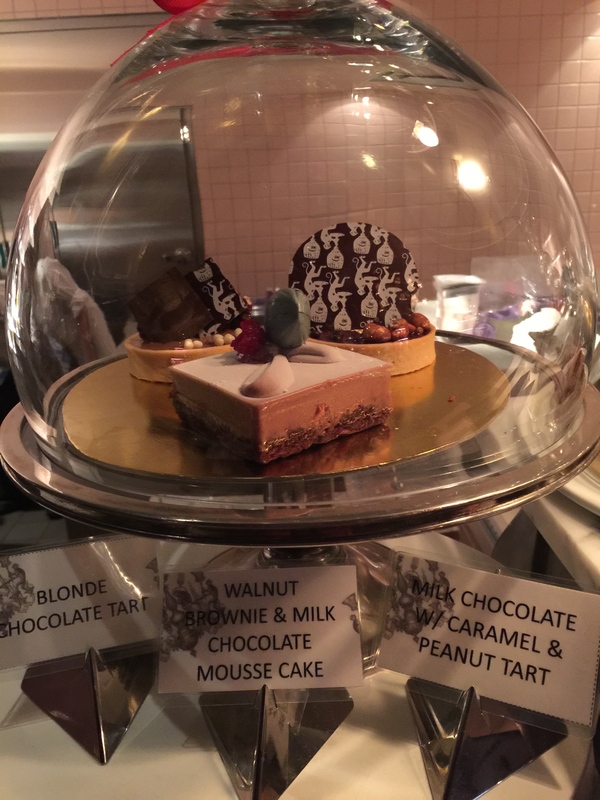 The very elegant, and somewhat whimsical design of the Patisserie highlights all of The Bazaar’s unique and creative dessert selections. In the middle of the room is a long, glass high top table meant to be shared communal style by multiple parties and groups. In the surrounding nooks and crannies of the room, there are smaller, cozier and more intimate seating arrangements with plush wingback chairs and love seat arrangements. In the middle of the room hangs a gorgeous white glass chandelier. 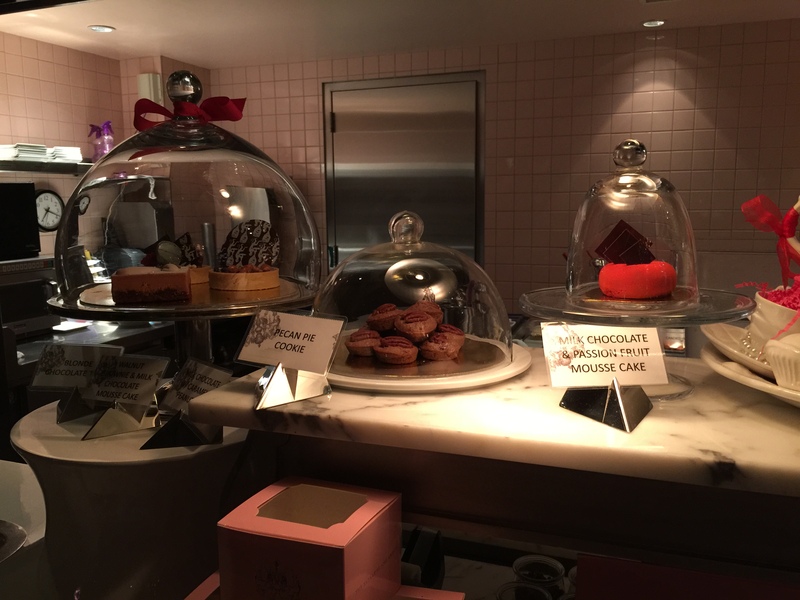 And at the back of the Patisserie is a large, partially open kitchen which has a fully display of small dessert selections where guests can wander up, choose what they want from the various choices and take it back to their table to enjoy. This is, of course, only if you want small bites for dessert. 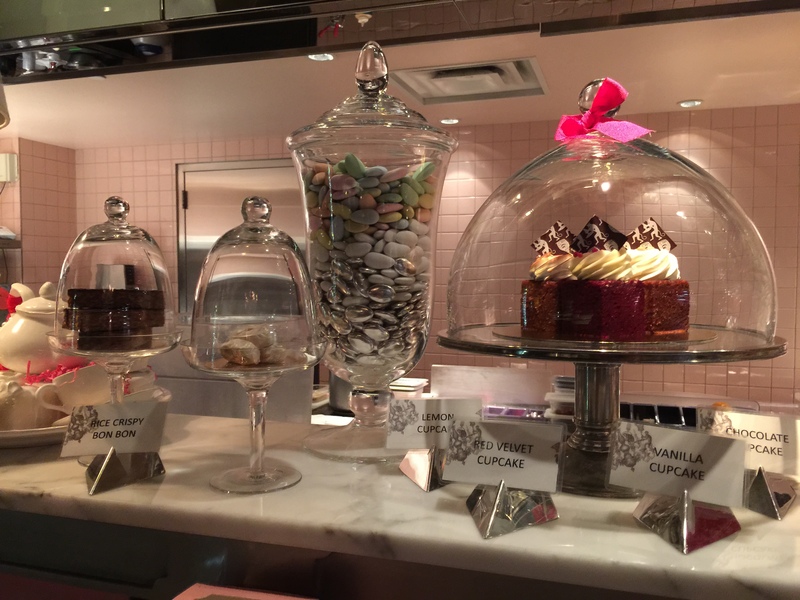 There is a much larger dessert menu with large, shareable dessert selections that are made by the pastry chef in the back kitchen and brought out to your table. The dessert bar, as we’ll call it, highlights a number of unique and creative small bite desserts such as hand made chocolate bars, cupcakes, homemade marshmallows and homemade cookies. 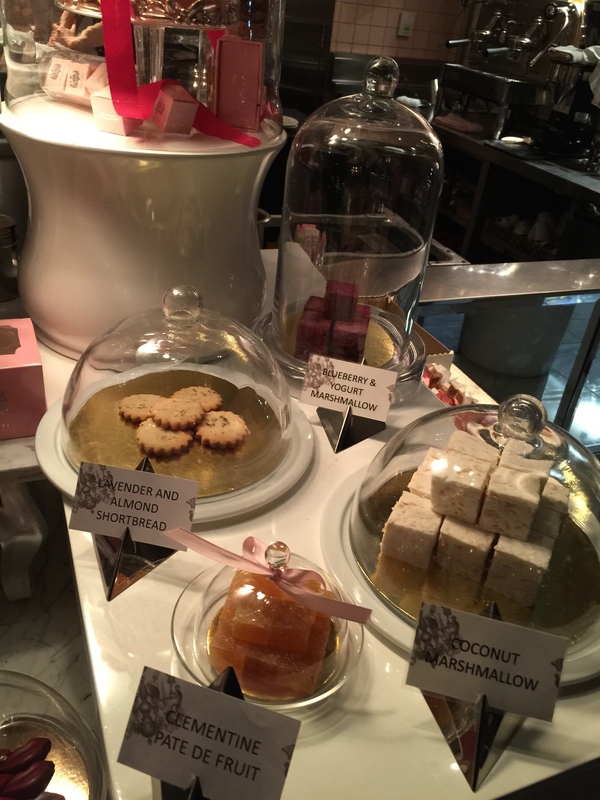 Just looking at the gorgeous selection of deserts displayed under glass dome display cases made me tempted to just order one of everything! For someone with a sweet tooth like mine, everything looked so irresistible. I’m not the world’s biggest fan of nuts, but even I have to admit that the walnut brownie and milk chocolate mousse cake looked amazing. There was also the milk chocolate with caramel & pecan tart, a fancy up-scale version of the pecan pie. Hiding in the back was a blonde chocolate tart with salted pecans and lemon, quite the play of on the sweet and sour flavor combinations with a little pecan for added texture and crunch. Those pecan pie cookies were big enough to look more like mini muffins rather than cookies. And then there’s the gorgeous red hue of the milk chocolate & passion fruit mousse cake. 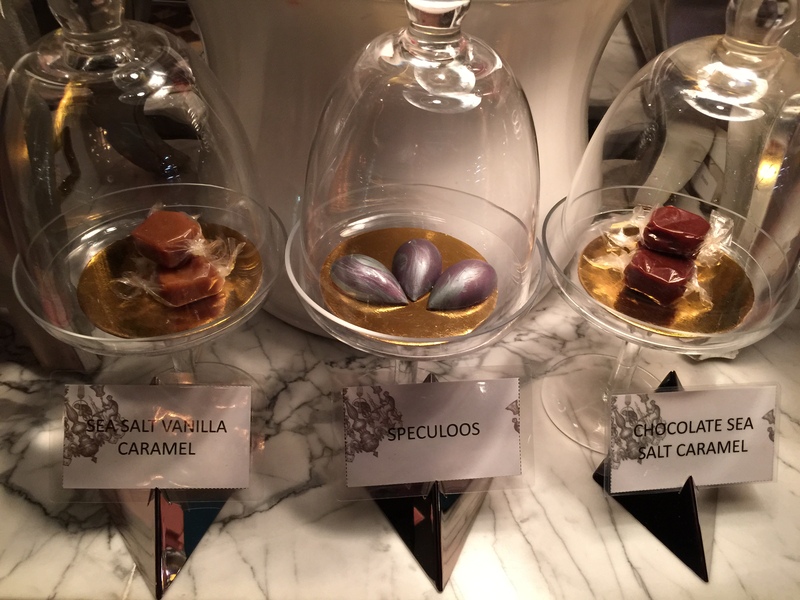 Much like the tapas at dinner, everything at the dessert bar was not only a creative combination of flavors, but also a true artistic work meant to appeal to all of the senses. My husband was quite fascinated by the Patisserie’s selection of hand crafted chocolate bon bons. The question wasn’t whether or not we should try any of the different types of bon bons, but more so whether we should try all of them or limit ourselves to just a few selections. Some of the bon bons came in the form of mini-tablettes, which was essentially a large square of chocolate composed of 9 smaller squares of chocolate. 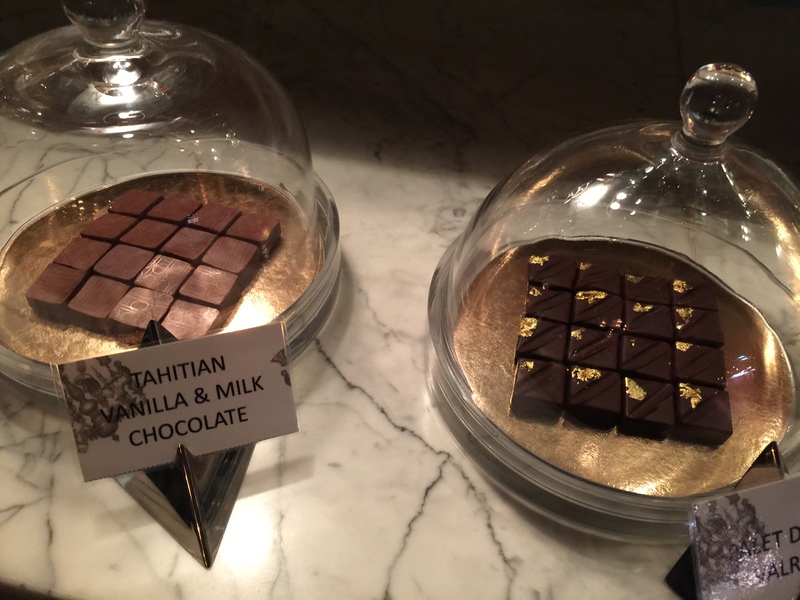 Each tablette was made from a base of either dark, white or milk chocolate with other flavors then added into these bases. 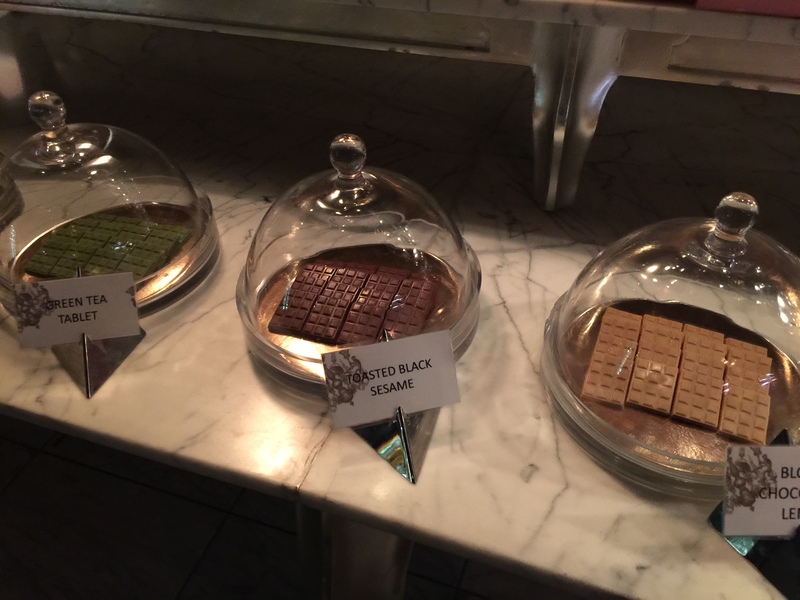 The dark chocolate tablettes included maldon salt and togarashi pepper, the white chocolate includes opals & vanilla bean as well as the beautiful green tea, and finally the milk chocolate tablettes included toasted black sesame and blonde chocolate and lemon. They all sounded so wonderful. Other chocolate bon bon included the caramelized salted hazelnut and candied orange and the vanilla bon bon. As I said, everything looked more like a piece of high end art, rather than a miniature dessert intended to be enjoyed. There was the Tahitian vanilla & milk chocolate bon bon, and the palet d’or 70% valrhona chocolate bon bon. What about the beautiful iridescent speculoos bon bon. 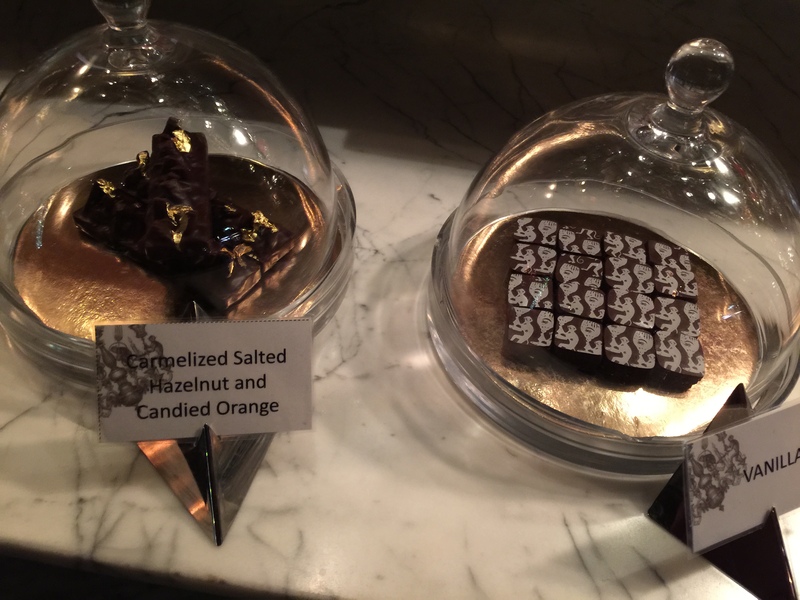 The Patisserie also made their own homemade caramels, such as the sea salt vanilla caramel and the chocolate sea salt caramel. Look at the gorgeous raspberry and almond praline Beverly Hills lips! Only in Beverly Hills would you see a desert such as this. Or there’s the praline milk chocolate rocher with the gold leafing on the top. 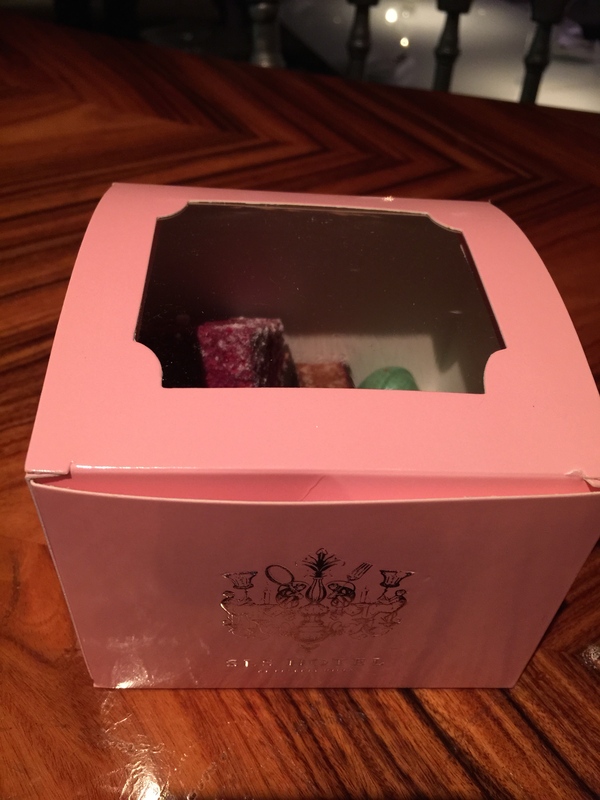 Other bon bons included the caramel & organic milk collection, the Tahitian vanilla & milk chocolate collection, white chocolate verbena & yes milk chocolate, rice crispy and the peanut & milk chocolate. 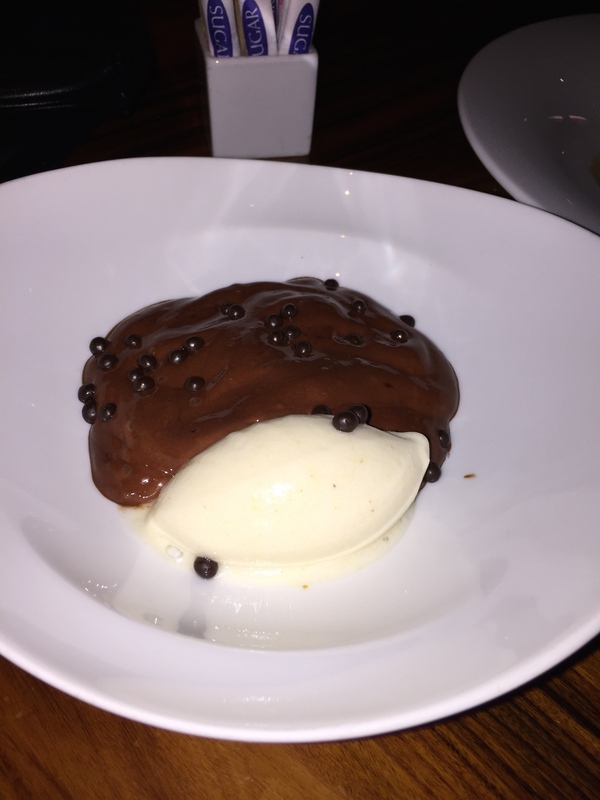 What about a dessert called dark chocolate pop rocks? I’m almost afraid to know what that is! The Patisserie also features two different homemade marshmallows: coconut marshmallow and blueberry & yogurt marshmallow. For those looking for a fruitier, more classic dessert, there is a variety of different pate de fruits, including passion fruit, clementine and berry. And finally there the cupcakes, cookies and cream puffs. The cream puff is probably the most substantial item in the dessert bar, a huge chestnut & chocolate cream puff. I was so tempted to order one! For cupcakes, there was a selection of either vanilla or red velvet cupcakes. And the mini homemade cookies included chocolate chip, alfajore, vanilla crescent, chocolate mini shortbread, milk chocolate, lemon & almond shortbread, gianduja & hazelnut, and lavender & almond shortbread. It’s interesting to see all the different flavor combinations that the pastry chefs have concocted, some of which make sense and some of which leave you intrigued because you aren’t quite sure how the different combinations fit together. Ok, so my husband and I were tempted by these mini sweets, but we knew we wanted to order some of the larger, full-size desserts not featured at the Patisserie bar, so we ended up compromising. We chose a few mini sweets to be boxed up so we could take them home with us and enjoy them as a sort of second helping of dessert. And believe me, enjoy them we did! This is what we had boxed up for home: rice crispy chocolate bon bon, the white chocolate verbena and yuzu milk chocolate bon bon, raspberry and almond praline Beverly Hills lips, praline milk chocolate rocher, a milk chocolate toasted black sesame chocolate mini-tablette, the blueberry and yogurt marshmallow, and finally the chocolate chip cookie. 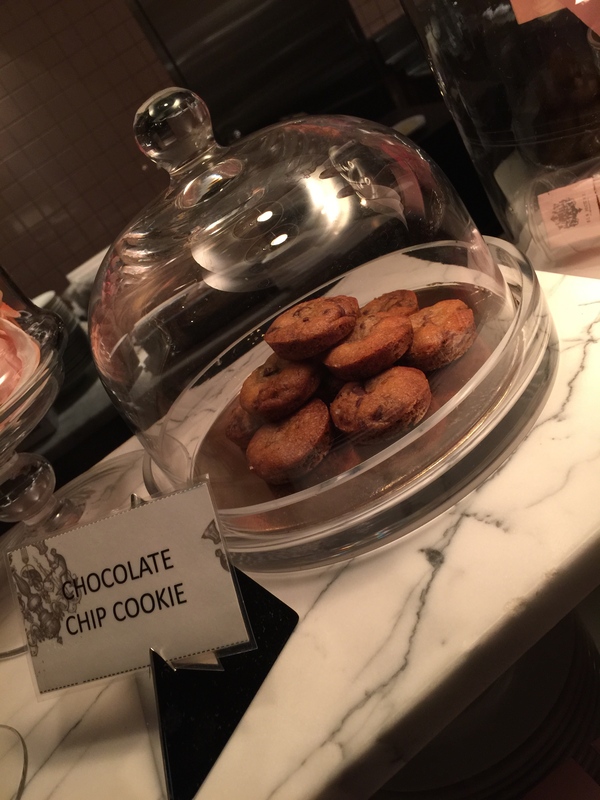 Personally, I thought that the chocolate chip cookie was outstanding. It was soft, and chewy, and full of flavor. I probably could have eaten a dozen of those cookies. 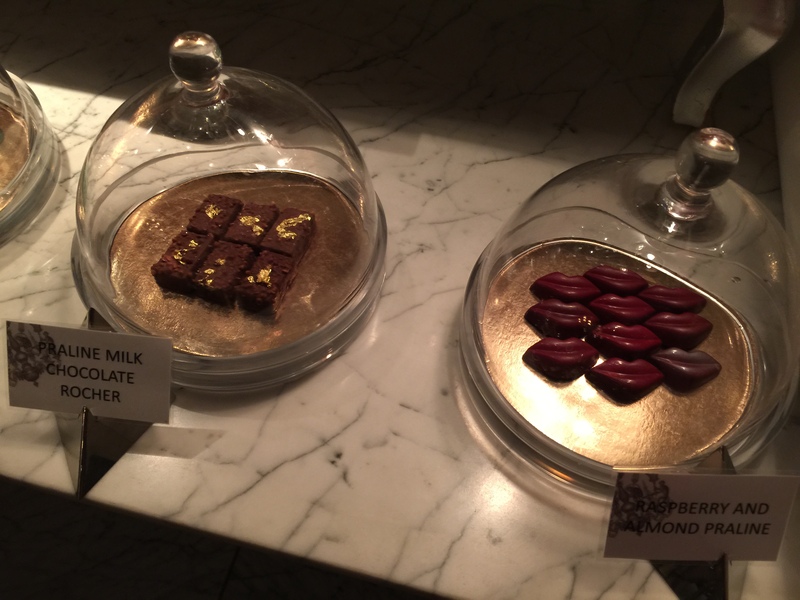 I also thought that the praline milk chocolate rocher was delicious, it was crunchy and smooth and delicious. My husband liked the blueberry and yogurt marshmallow, and the flavor of the white chocolate verbena and yuzu milk chocolate bon bon was just so unique. I’m sure there probably wasn’t a single thing that we could have taken home that we weren’t going to enjoy. On to the real desserts we enjoyed, or what my husband and I could call the “second meal.” We started with some after dinner coffee. 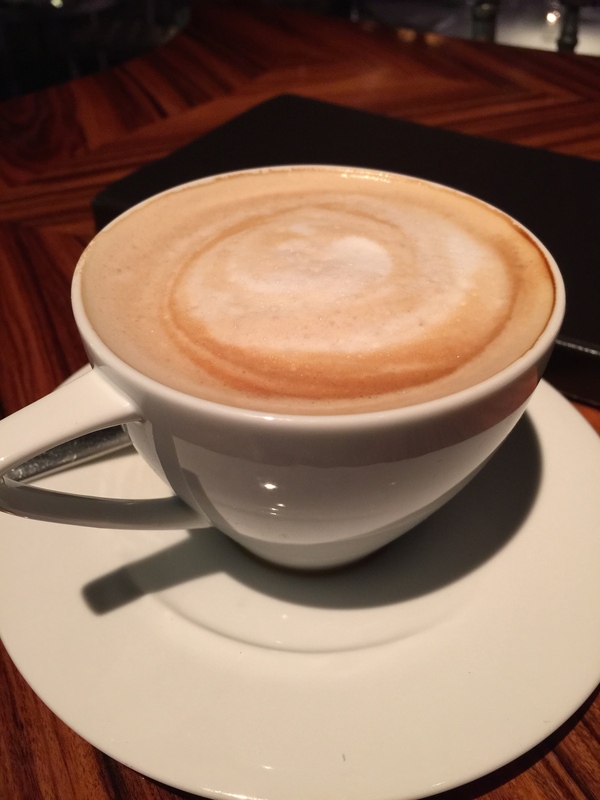 A latte for me, and a cappuccino for my husband. We rarely both indulge in after dinner drinks, in fact I can only think of only a handful of times that we both ordered after dinner coffee, and all of those times have been and really amazing restaurants where the meals were so fantastic that we wanted to linger over dessert as long as possible and decided to indulge in coffee just to make the experience last longer. This experience at The Bazaar was no different for us, we just never wanted the night to end. For his dessert selection, my husband chose the hot chocolate mousse with pear sorbet and salty hazelnut praline. I admit, that the whole dessert sounded a bit odd to me, the combination of a chocolate mousse with a pear sorbet seemed unusual as I don’t normally think of pears and chocolate going together. Also, what is a hot chocolate mousse? When the dish came out, it looked like pudding to me, honestly. However, I couldn’t be further from the truth. One spoonful of this desert and I was sold. First off, the hot chocolate mousse was fantastic. 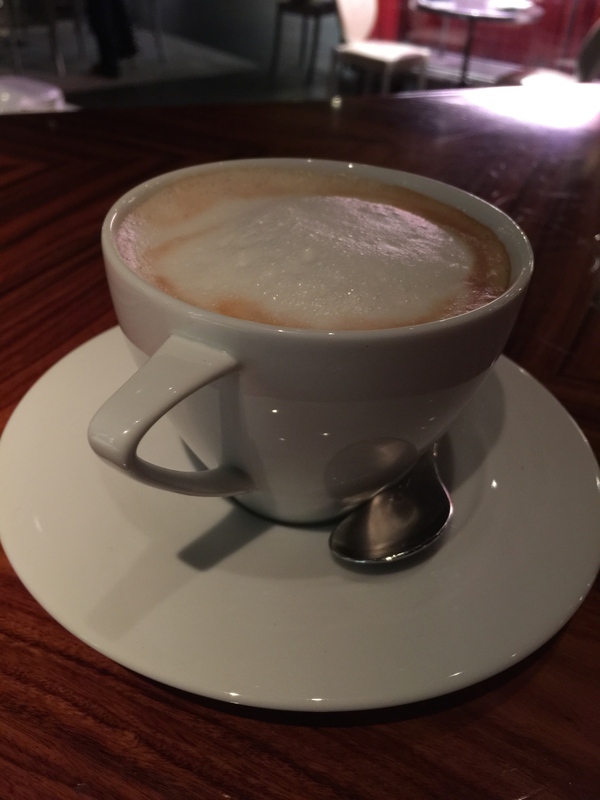 It was light and airy, with a great hot chocolate flavor, but it wasn’t over-the-top sweet. Pairing the mousse with the pear sorbet helped to enhance the chocolate flavor of the mousse. The pear sorbet itself was fantastic, almost like a palate cleanser. It had a nice subtle pear flavor that just felt refreshing and crisp and clean. And the little crunch salty hazelnut praline balls added texture and crunch to the dessert and a little tiny pop of saltiness that also enhanced the chocolate flavor the mousse. While I was skeptical about the dessert to begin with, I was won over by the end. This is definitely a tasty, fun dessert that I would order again. With my selection for desert, I chose the nitro coconut floating island. I had no idea what it was other than the description said banana and I was sold. 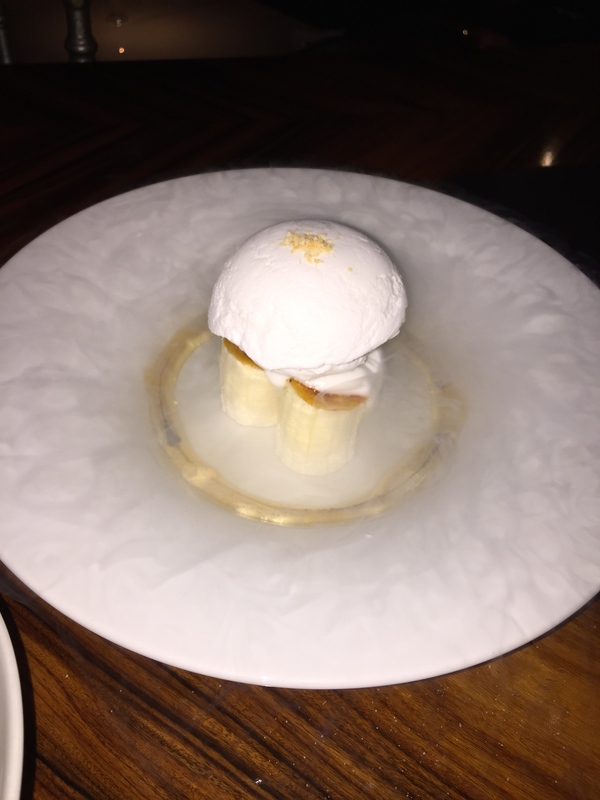 The actual menu description reads, “nitro coconut floating island with caramelized banana, passion fruit and vanilla.” When the desert was brought to the table, it was so fun and whimsical and made using molecular gastronomy that it just fit with the rest of our experience at The Bazaar. The dessert was served in a wide bowl, with the outside rim of the inner bowl lined with passion fruit, in the center of the bowl, there was caramelized banana pieces that were standing up and holding up a semi-frozen coconut and vanilla-flavored island. A little liquid nitrogen was added into the bowl and it immediately created this amazing smoky, liquid effect that made it appear that the coconut island was indeed floating in the middle of the bowl. It was so neat. The coconut island almost had the consistency of meringue, it was light and airy and tasty on it’s own, but when eaten with the banana and the tangy passion fruit, it was fantastic. I loved the caramelized banana which gave the dessert a real sweet note. And the passion fruit, just that little bit of it gave the whole dessert a whole tropical feel, but also gave it a tart and tangy flavor profile which brought everything together. Like everything else we’d eaten at The Bazaar, the desert was fun, and crazy and new-age, but yet tasted just as amazing as it looked. Wow. That’s about the only word I know to describe what my experience at The Bazaar was. I freely admit that I was completely skeptical about dining at The Bazaar. When my husband said he wanted to take me here for my birthday, I balked. Why couldn’t we go to a restaurant I wanted to go to, rather than something he wanted to go to. It was my birthday after all. All my husband kept saying was that I needed to trust him. I was still complaining as we drove up to the restaurant. But 2+ hours later, as I walked out of the restaurant, I was in love. I guess I should have trusted my husband. My husband’s comments about The Bazaar was that the hype of the restaurant is completely worth it. He thought that the place was fun. And fun indeed it was. The dishes were all prepared artfully and thoughtfully combining old-school and new-school techniques to perfect the dish. And each dish literally tasted amazing – the main meal, the desserts – everything was perfect. I didn’t have a single complaint. The restaurant is definitely an experience, something everyone should experience at least once. I’m already wondering when we can go back again. A belated Happy Birthday wish…it sounds like your meal was memorable from beginning to end.